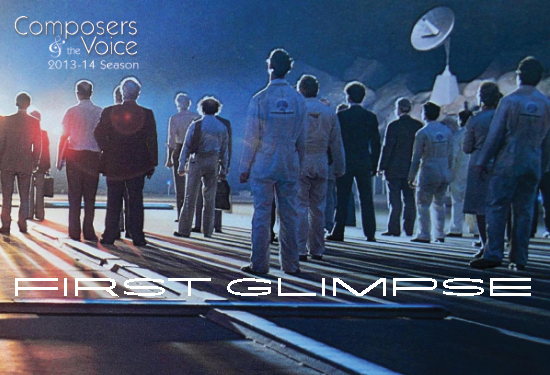 BROOKLYN, NY, April 24, 2014– On Sunday, May 18 and Monday, May 19, 2014 at 7:30pm AMERICAN OPERA PROJECTS (AOP) will present COMPOSERS & THE VOICE: FIRST GLIMPSE 2014, the first public presentation of compositions developed during this season’s Composers & the Voice (C&V) program. Composer Daron Hagen hosts the concert of songs written by five emerging composers – Guy Barash, Avner Finberg, Jeremy Gill, Andreia Pinto-Correia, Gity Razaz – and one composer/librettist team, Joseph Rubinstein and Jason Kim, who were chosen by AOP to spend a year creating new works focusing on the operatic voice. The performances will be held at South Oxford Space in Fort Greene, Brooklyn, the home of AOP. Tickets are $15 general admission, $10 for students/seniors and are available at www.operaprojects.org. 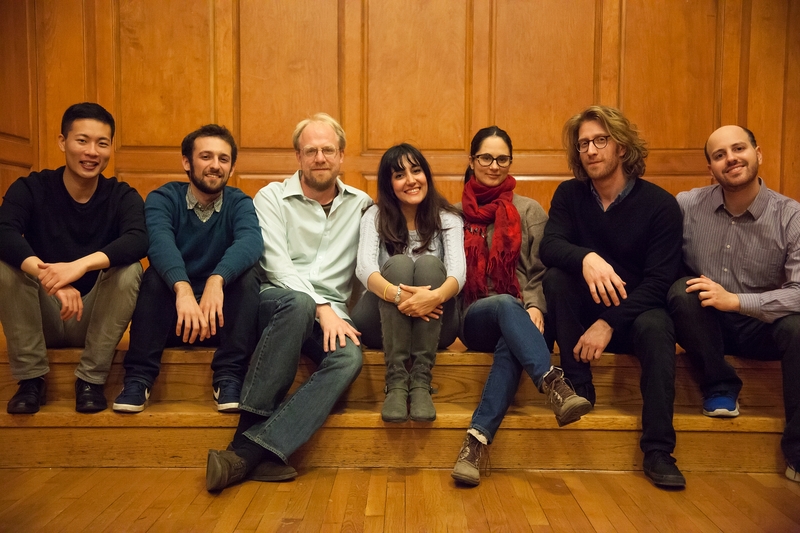 Composer Daron Hagen (Amelia, A Woman in Morocco) will host the concert. In addition to seven months of workshop training sessions, the C&V fellows received one-on-one mentoring from Mr. Hagen, as well as esteemed composers Jake Heggie, Libby Larsen, John Musto, Tobias Picker, Stephen Schwartz and librettist Mark Campbell. Each of these distinguished artists review their fellow’s work, offer feedback, and participate in C&V discussions. The AOP Resident Ensemble of Singers performing at First Glimpse are sopranos Deborah Lifton (Center for Contemporary Opera, Encompass New Opera Theatre, Joy In Singing Competition Winner) and Kristin Sampson (Best Female Performer Award- Mezzo Television Armel Opera Competition, Dicapo Opera Theatre, Santa Fe Opera), mezzo Rachel Calloway (Castleton Festival, Gotham Chamber Opera, PROTOTYPE), tenor Dominic Armstrong (New York City Opera, New York Philharmonic, Lyric Opera of Chicago), baritone Jorell Williams (Caramoor International Music Festival, New York City Encores!, Opera Theatre of St. Louis), and bass-baritone Matthew Burns (Bard SummerScape, Boston Lyric Opera, New York City Opera). Supporting on piano will be Composers & the Voice Music Directors Mila Henry, Kelly Horsted, and Charity Wicks. Created and led by Artistic Director Steven Osgood (and former Artistic Director of AOP), Composers & the Voice began in 2002 and is currently in its seventh season.American Opera Projects selects six composers for a year-long fellowship to work with the company’s Resident Ensemble of Singers for the nationally recognized workshop series, with additional training in acting, improv, and libretto study. The primary focus of Composers & the Voice is to give composers and librettists experience working collaboratively with singers on writing for the voice and contemporary opera stage. Participants meet in closed sessions from September to April to present and discuss new works composed specifically for the individual voices of the Resident Ensemble. Composers & the Voice is made possible in part by a generous multi-year award from The Andrew W. Mellon Foundation. Composers & the Voice fellows are supported, in part, by funding from The Victor Herbert Foundation. First Glimpse 2014 on May 18 and 19 will be the first public performances of compositions created during this year’s workshops. In September 2014, the Composers & the Voice fellows will return from a summer hiatus with Six Scenes, an evening of short opera scenes presented as part of AOP’s First Chance series. One of these scenes will be selected to receive a staged reading at Manhattan School of Music in Spring 2015 as part of their annual “New American Opera Previews, from Page to Stage”. Sunday, May 18 and Monday, May 19, 7:30 p.m.
April has been busy and gratifying for AOP and we are just about a third of the way through our 25th year (stay tuned for announcements about anniversary events). Just as we finished up workshops for our upcoming July premiere of The Blind at Lincoln Center Festival, two AOP-developed works received their world premieres at regional opera companies. Even better, they are resounding successes. AOP develops new work and partners with companies across the country because of leadership support from The Andrew W. Mellon Foundation, National Endowment for the Arts, and many generous individuals. Present Music and Milwaukee Opera Theater co-produced Judgment of Midas on April 12 & 13. The extravagant, Turkish influenced music by composer Kamran Ince supplies “an orgiastic climax as crazed and hair-raising as anything I’ve heard in all of opera” (ThirdCoastDaily.com). It is a large scale comedy with six principles and a small chorus. Visit AOP First Chance to follow the next round of operas on their way to premiere productions! Opera Now! THE Opera Podcast!